We’d love your help. Let us know what’s wrong with this preview of The Women Who Flew for Hitler by Clare Mulley. Hanna Reitsch and Melitta von Stauffenberg were talented, courageous, and strikingly attractive women who fought convention to make their names in the male-dominated field of flight in 1930s Germany. With the war, both became pioneering test pilots and were awarded the Iron Cross for service to the Third Reich. But they could not have been more different and neither woman Hanna Reitsch and Melitta von Stauffenberg were talented, courageous, and strikingly attractive women who fought convention to make their names in the male-dominated field of flight in 1930s Germany. With the war, both became pioneering test pilots and were awarded the Iron Cross for service to the Third Reich. But they could not have been more different and neither woman had a good word to say for the other. To ask other readers questions about The Women Who Flew for Hitler, please sign up. What an amazing book about two amazing women of the Third Reich.....Hanna Reitsch and Melitta von Stauffenberg, test pilots for the German aircraft industry and the Luftwaffe. Both received Nazi Germany's highest honor, the Iron Cross, and were feted by the public and the military. But they were as different as chalk and cheese and their paths seldom crossed, mostly by design. Hanna was a loquacious, publicity seeking rather self-serving young woman who was totally committed to Hitler. From child What an amazing book about two amazing women of the Third Reich.....Hanna Reitsch and Melitta von Stauffenberg, test pilots for the German aircraft industry and the Luftwaffe. Both received Nazi Germany's highest honor, the Iron Cross, and were feted by the public and the military. But they were as different as chalk and cheese and their paths seldom crossed, mostly by design. Hanna was a loquacious, publicity seeking rather self-serving young woman who was totally committed to Hitler. From childhood she had wanted to fly and was a glider champion but yearned to fly motor driven aircraft and her determination paid off in the years leading up to the war. Her courage was unassailable and she escaped death many times during her test flights. Melitta came from an aristocratic Prussian family and was a brilliant aeronautical engineer whose real joy was piloting an airplane. Her background was suspect to the Nazis as she was a mischling (her grandmother was Jewish). But through her connections and talents, this was overlooked by the powers that be. She was a quiet and restrained individual whose commitment to Germany and honor trumped her personal feelings about the Nazis and Hitler. (It should be noted that her brother-in-law, Claus von Stauffenberg was the leader of Operation Valkyrie, the unsuccessful assassination attempt on Hitler which cost von Stauffenberg his life and put Melitta under a cloud of suspicion throughout the rest of the war). Hanna was a supporter of Hitler’s new regime and lent her image to a series of publicity articles and collectibles. She dropped out of medical school to pursue flying. She became a test pilot a This is a duel biography of two women aviators, Hanna Reitsch (1912-1979) and Countess Melitta Schiller Schenk Gafin von Stauffenberg (1903-1945). Hanna had Aryan looks and Melitta was a brunette from Prussian aristocracy. These women became brilliant pilots in the 1930s when few women were allowed to fly. I read this as an audiobook downloaded from Audible. The book is fifteen hours long. Christa Lewis does an excellent job narrating the book. Lewis is a voice-over artist and award-winning audiobook narrator. A very good tale of these two very different women, Hanna Reitsch and Melitta Von Stauffenberg. Both test pilots in German, Melitta the more educated who was also an engineer and their rivalry. Hanna the die hard Nazi who at the end even flies into the Fuhrerenbunker with Ritter Von Griem, trying to convinced Hitler to flee and when that fails tries to Convince Magda Goebbels to spirit her children out. Melitta’s brother in law was Claus, leader of the Valkyrie plot to depose Hitler, she remained A very good tale of these two very different women, Hanna Reitsch and Melitta Von Stauffenberg. Both test pilots in German, Melitta the more educated who was also an engineer and their rivalry. Melitta’s brother in law was Claus, leader of the Valkyrie plot to depose Hitler, she remained the only member of the family not killed or thrown In prison for the duration of the war, due to her vital war research, she dies right at the end of the war while flying to visit her husband in prison. This was a very interesting story, one I wasn't aware of until I saw it on a library shelf. There were a few points where my interest waned, and others that were very difficult to read, given the atrocities that occurred during this time. That said, it was well-written, seemingly exhaustively researched and cited, and an overall very worthwhile read. This is a splendid book about the role of two exceptional woman aviators during the aftermath of WWI and the oncoming disaster of Germany’s actions in WWII. Hanna Reitsch was a middle class, vivacious Aryan and her flying was mostly in gliders. She loved to soar, enjoying the quiet and freedom. She once flew a Dornier aircraft with wheel fenders having sharp edges. She flew this plane against some balloons and cut their metal cables with the fenders. Hanna was not afraid to stand up to Nazi big This is a splendid book about the role of two exceptional woman aviators during the aftermath of WWI and the oncoming disaster of Germany’s actions in WWII. Hanna was not afraid to stand up to Nazi bigwigs. She once had a private talk with Himmler in his study and criticized his views of women and marriage. He thought that women should not be involved in military matters but should be at home, dutiful wives and mothers of their children. Hanna came up with Operation Suicide: Two pilots in a guided missile, like a V-1 rocket, would point themselves at the target and attack it, committing suicide. The Germans didn’t know the Japanese were planning to do the same thing with Kamikazes. Training was done all the way up to D-Day 1944 but the pilots were pulled back for more critical missions. The other prominent woman aviator was Melitta von Stauffenberg, nine years older than Hanna. Melitta was more of an engineer who flew fighters and designed various parts of planes to make them more effective. Melitta’s grandparents were Jewish and this weighed heavily on her mind when Hitler began extermination of the Jews. She managed to win a PhD and developed night landing procedures that enabled single-engine night fighters to be used as bomber-interceptors, the best practical innovation accomplished during the war. Meltitta had a small role in Operation Valkyrie, the attempted assassination of Hitler in May 1944. She was to fake an emergency landing at Hitler’s HQ while Claus (her brother-in-law) would be part of the killing group and escape on Melitta’s plane. Hanna survived the war but Melitta did not. She returned to the USA in 1961 to meet Werner von Braun who was working at NASA. She refused to work for America because she thought it would be a betrayal of her country but Von Braun thought otherwise. Hanna lived until her mid-sixties. According to friends, she was no longer able to distinguish reality from fantasy. Details the lives of the only two females who persevered through Germany's machismo and were able to get licensed as pilots and grudgingly permitted to fly in World War II, though not as military. Because Hanna was 9 years younger but eac Details the lives of the only two females who persevered through Germany's machismo and were able to get licensed as pilots and grudgingly permitted to fly in World War II, though not as military. Because Hanna was 9 years younger but each pilot was born in countries that Germany annexed, their beliefs were formed by different political environments, their passions to fly were the same, and they vied with each other for recognition. I liked the 1st third of the book the best which had details about why they wanted to fly and how they got to do it. The middle third delves into their differing views shaped by heritage and their efforts in World War II, telling what they did and how they felt about it, and how different their personalities had been shaped. I skipped some of this detail for it was too filled with war atrocities that I wanted to duck out on. The final third of the book delved into after war activities, enduring relationships with Nazis who were tried, their deaths and some family follow-up. So much history here takes place while I have been living and unaware of its complications. A brilliant dual biography of two incredibly strong women, portrayed very different and from very contrasting backgrounds, operating in the very conflicting background of Nazi Germany. Clare Mulley elegantly and respectfully crafts the lives and exciting journeys of two fascinating women and their perils, pitfalls and achievements. Not to mention the many insights and uncovered secrets of the Second World War in the process. Highly recommended! DNF To to the Ridiculous font and spacing used in paperback copy which made this a tedious book to read. Beautifully written and engrossing biographies of 2 amazing women. This dual biography is excellent, really well balanced and researched. I had never heard of Melitta von Stauffenberg before. She was truly amazing. Part Jewish, but she tests and flies military planes in Nazi Germany. She had a strong sense of family, and was so resourceful. She helped keep many of her in-laws and such alive--when they were in concentration camps! Her resourcefulness and willingness to take action is striking. I've read about Hanna Rietsch in a number of books. Sometimes she's portrayed as a drama queen and fairly empty-headed. Sometimes she is described as a very gifted pilot and fairly normal person. This book shows both sides. Kind of reminds me off Leni Riefenstahl--ambitious, gifted, brave, blinders on, unwilling to accept the reality of the Nazis in the post-war era. What an eyeopener two more diametrically different women would be hard to imagine. Read this book. It has a beautifully written and composed narrative. It is well-researched and it provides citations (one would be surprised how many "history" books do not use footnotes or endnotes). This book was very informative and interesting, not merely from the revealing of "hidden" women serving not only in the Luftwaffe and support services, and also those within the Allied forces but also from revealing the philosophical viewpoints of so many within Hitler's Germany. Those who adored him and bought into his philosophy of a "Great Germany" and those who believe in Germany as she was prior to WWI. One of the women, Hannah Reitsch, was an adorer of Hitler....and never recanted her love This book was very informative and interesting, not merely from the revealing of "hidden" women serving not only in the Luftwaffe and support services, and also those within the Allied forces but also from revealing the philosophical viewpoints of so many within Hitler's Germany. Those who adored him and bought into his philosophy of a "Great Germany" and those who believe in Germany as she was prior to WWI. One of the women, Hannah Reitsch, was an adorer of Hitler....and never recanted her love and adoration for him and his ideals, whereas the other , Malitta von Stuaffenberg, was herself part Jewish and used her position as an engineer and test pilot to insure the safety of her own family, and assisted her own brother inlaw Claus von Stauffenberg in plotting against Hitler in the now famouse Operation Valkrie. This book is about two women who were pilots for Germany during WW II whose lives took two completely different directions because of the war. An incredible book, which is also a look back that shows how some of the same things could happen again. The Woman Who Flew for Hitler was an interesting read. I learned a lot about these two women and history of the Third Reich. I admired their courage and tenacity. While both women were similar in their desire to fly they had different views on the war in Germany. Hanna wanted to help win the war and protect Hitler while Melitta wanted the war to end and help in the assassination of Hitler. I give The Women Who Flew for Hitler 5 stars for its Historical read. I would recommend this book to everyone The Woman Who Flew for Hitler was an interesting read. I learned a lot about these two women and history of the Third Reich. I admired their courage and tenacity. While both women were similar in their desire to fly they had different views on the war in Germany. Hanna wanted to help win the war and protect Hitler while Melitta wanted the war to end and help in the assassination of Hitler. Just when you thought there couldn't be any more new and interesting stories coming from WWII, this book comes along. It took me awhile to get into it, I found the flow back and forth between one woman's story and the other woman's story somewhat confusing at times - I had to go back and read paragraphs over when I suddenly realized we had switched gears -, and the aeronautic info was lost on me, but I found the main part of the book fascinating. This book was very well written and full of all sorts of history. The two women it followed had such different view points on what was going on and what their part in it was. If you like history this is a must read! A wonderful read about two very talented woman. Much to admire in their courage and dedication to their work. Interesting to see how small decisions and differences in priorities led to two very different lives. A fascinating look a the two then-famous aviatrices of WWII Germany. In examining their lives the times are also evoked; the famous and minor figures of NAZI Germany to the development of aviation. 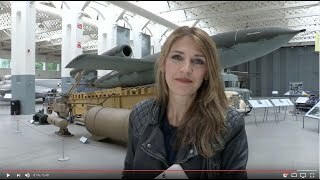 It's interesting to view WWII unfold from the perspective of the Germans. Enjoyed reading about these two women, the people who surrounded them and their work. Learned a lot from this book without it feeling like a textbook. I appreciated how well researched it was. Very interesting and well written book about aviation in WW2 Germany. Interesting how two women were able to stand out in a male dominated field. A little lengthy, but I very much enjoyed it. 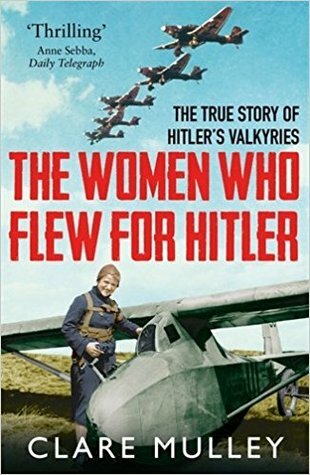 An absolutely riveting book about two women who flew gliders and became elite flyers for the German Luftwaffe during WW II. An exceptional book about two strong & clever women who were more different than alike. Lots and lots of historical detail handled in a clear and readable way. I highly recommend this! I seem to have trouble reading this author's books. She previously wrote "The Spy Who Loved" and it did nothing for me; in fact, I don't remember anything about it. In "The Women Who Flew for Hitler," it just seemed to drag. I did not finish the book having read one hundred pages and then deciding to call it quits. Maybe there's too much extraneous detail that did it for me, which I call filler. I guess it was just not my cup of tea. Bought this book on kindle as I wanted a long read. Disappointed that only 58% of the book was the actual text and the balance was footnotes. A bit of a conn! The text was well written but breaking up the chapters with subheadings to mark a swapping from one pilot to the other would have enhanced its readability. - 'The Spy Who Loved', (Macmillan, 2012) looks at the secretss and lives of Krystyna Skarbek, aka Christine Granville, the first woman to work for Britain as a special agent the war Clare Mulley is the award-wining author of three biographies.